Become a friend of the gardens! With funding to sustain the gardens over time, visitors to Alcatraz will always be able to experience the beauty of these award-winning historic gardens. 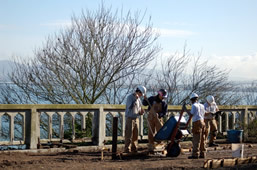 Funding is needed for staff, tools, soil, plants, repair work, and visitor information. 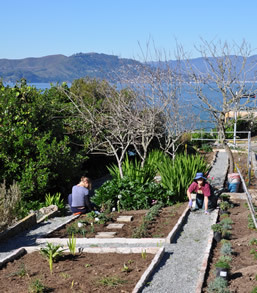 Through restoration, maintenance, and garden interpretation, millions of visitors have learned how inmates and Alcatraz families were inspired by the rewards of horticulture. The Carola Ashford Alcatraz Gardens Fund was established in memory of the Garden Conservancy’s energetic and passionate Alcatraz Gardens project manager, who died February 24, 2009. For more information and to donate to this fund, click here. What’s blooming in the gardens?